The Indian Armed forces are undergoing a makeover – they’re turning from buyers to builders . After commissioning INS Kochi, which is fully manufactured by Indian Naval engineers, the army is now set to manufacture its own guns. India will soon get its own mobile howitzers that will reverse the longhand Pakistani battlefield edge on artillery guns. As a part PM Modi’s initiative “Make In India”, L&T is all set to start manufacturing guns for Indian Army. 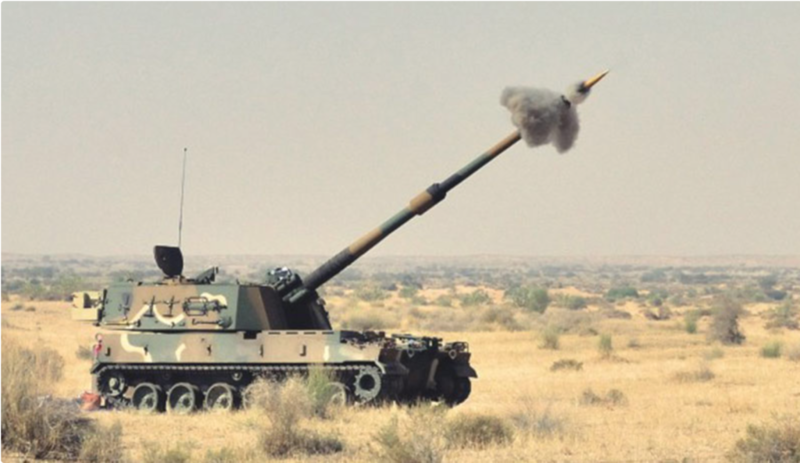 Larsen and Turbo has bagged a £750 million contract to supply 100 self-propelled artillery guns to Indian Army. These 155 mm artillery guns are very useful in operations in desert areas, especially the ones bordering Pakistan, and have been a longstanding requirement of Indian Army. Pakistan had acquired this gun in 2009 from US, when the US had supplied 115 of the modern M 109A5 canons to Pakistan as a reward for its assistance in Afghan war. The Indian army had tried to procure the same gun, but the process had dragged on for several years. Now the K9 VAJRA-T howitzer proposed by L&T in partnership with Samsung has been shortlisted for the contract. The VAJRA could be the first new artillery gun to be produced in India in last three decades. By demonstrating its ability to handle Indian as well as all NATO standard ammunitions, K9 VAJRA-T has proven its excellent conformability to any field artillery unit. The VAJRA will be produced at L&T’s Pune facility. The VAJRA beat its Russian competitor on several technical grounds, including rate of fire, accuracy and mobility trials, officials said. L&T officials, however, refused to comment on the development. This victory is a sweet for L&T as it was a global competition which had arm vendors from around the world. This artillery gun will add another dimension to Indian Army. Self-propelled guns are vital for their “shoot and scoot” ability as well as a high flexibility of deployment in the battlefield. The K9 VAJRA-T is a variant of K9 Thunder which is inarguably the world’s best 155mm/52 Cal.SPH in terms of number of systems in active service.